The tubular RI80 high voltage precision resistors were specifically designed for general purpose high voltage systems in industrial. 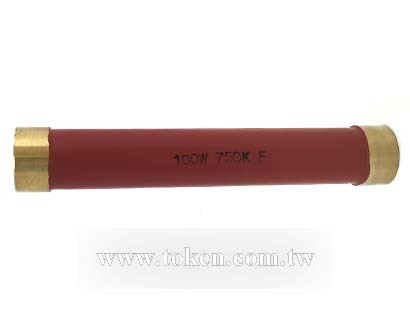 The RI80 uses Token's proprietary thick film Metal Glaze resistive element and Serpentine Pattern Design which provides ideal cost efficient, stability, precision and high voltage characteristics for a wide range of measurement, voltage divider circuits, and control functions in high voltage power electronics applications. 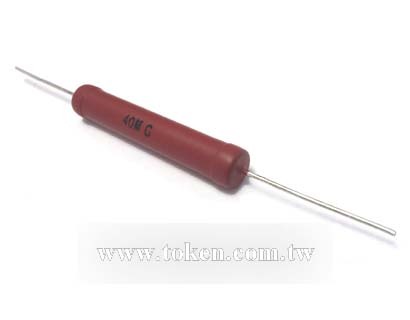 Token RI80 Precision Voltage Resistors are able to absorb large amounts of energy at high voltage while remaining non-inductive and heavy load characteristics. The RI80 conforms to the RoHS directives and Lead-free. Customed design, and tighter tolerances are available on request. 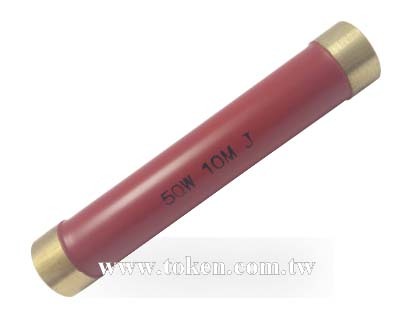 By utilizing specific ceramic core materials with optimum processing, Token are able to control, very tightly in manufacturing, the important ultra-stable performance parameters in operating temperatures from -55°C to +70°C. 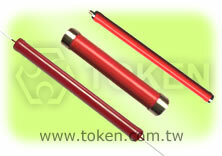 (RI80) can handle up to 35KV voltage. This unique process is offered in specific resistance values in a wide variety of sizes and terminations. The extraordinary operating stability of the Type RI80 resistors will improve the performance of your high voltage system. The RI80 Precision Voltage Series is for customed designs, tighter tolerances, non-standard technical requirements, or custom special applications, please contact our sales for more information. Download complete specification Impulse High Voltage Resistors (RI80) PDF. Rated Wattage from 1W to 300W. Max Working Voltage from 10KV to 35KV. High Resistance Range from 1 Megohm to 1,000 Megohms. Temperature Coefficient: 200 ppm/°C to 400 ppm/°C. Resistance Tolerance G( ±2%), J(±5%), K(±10%). Capacitor crowbar circuits, High voltage snubber circuits, X-ray/imaging equipment, and EMI/lightning supression. Rated continuous Working Voltage (RCWV) shall be determined from RCWV = √ Power Rating × Resistance Value (Ω) . 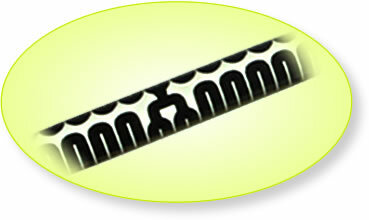 RI80 Non-Inductive Design which uses a serpentine resistive pattern that offers for zigzagging lines to carry current in opposite directions, thereby achieving maximum neutralization of flux fields over the entire length of the resistor. This efficient non-inductive construction without derating of any performance advantages is ideal for applications where high frequency is required. 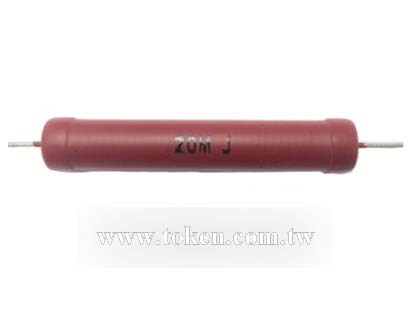 Type High Voltage RI80 Precision Resistors combine Token's Non-Inductive serpentine pattern, high thru-put screen printed silicone coating. The alignment of the gap in the serpentine resistor pattern with the gap in the coating pattern provides a complete encapsulation of the resistor element. The cap and lead assemblies are pressed onto the resistor core, finishing the resistor and providing rugged terminal attachment.